Rob has over 40 years of coaching experience and a tremendous knowledge of the sport. 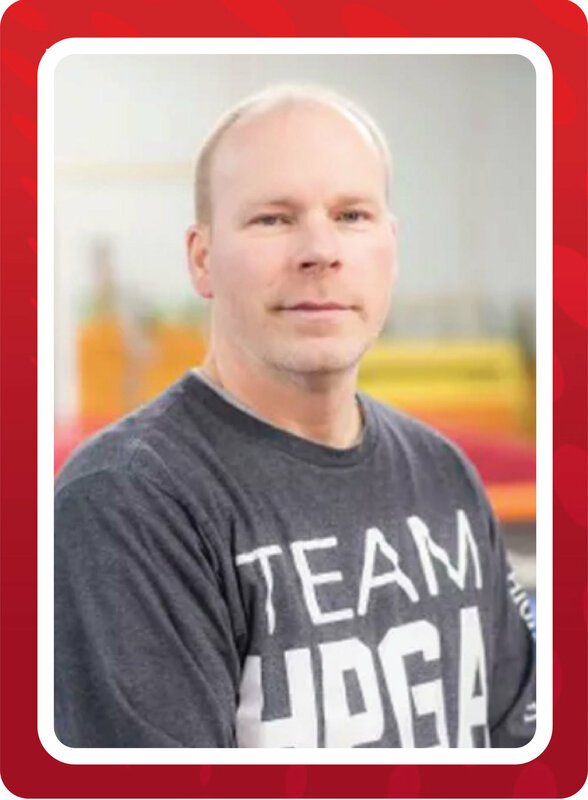 After years of teaching gymnastics at a high level and judging gymnastics at a national level, Rob has been inducted into the Region 8 Hall of Fame. He has also served as a National Men’s Gymnastics judge for 15 years. Marie Travers, Robert’s mother, spent many hours in the gym teaching young preschool children how to tumble during her time at HPGA. Marie found such joy in gymnastics and her young students that she taught for 27 years, retiring in 2015. Many of the girls she taught have continued through the program to receive Division 1 scholarships. Since retiring from teaching, Marie can be found attending quilting classes and indulging her artistic side. Coach Veronica is the Compulsory Head Coach and has been with HPGA since 2008. Her love for gymnastics started at 10 years old. After fifteen years of being a competitive athlete (Club and NCAA Collegiate Gymnastics), she transitioned into coaching. She loves sharing her passion by teaching the future generation of gymnasts not only skills but also life lessons.